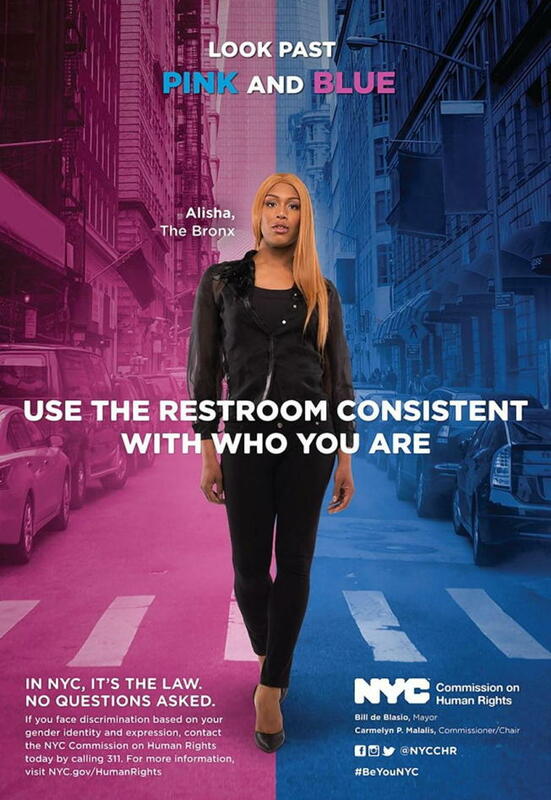 New York City finds no shortage of reasons to pat itself on the back, but the city's groundbreaking ad campaign for transgender bathroom rights actually justifies it. 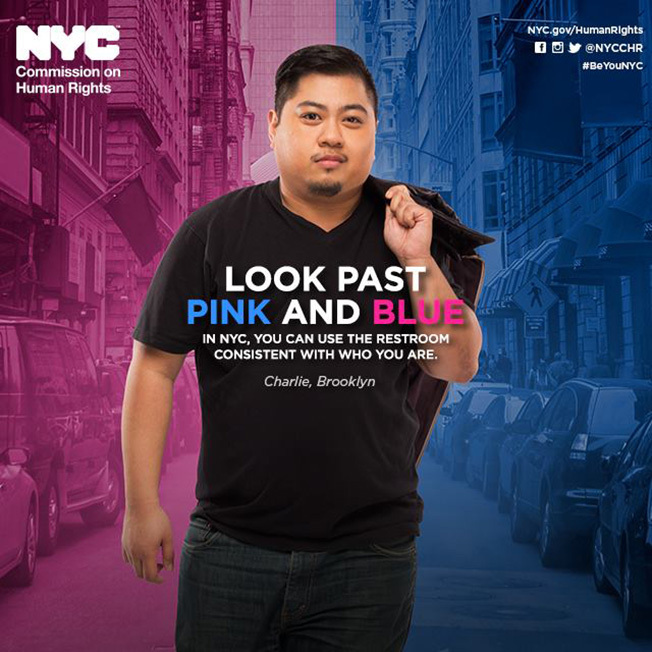 The print and video ads include transgender New Yorkers—among them a full-time mom, a health-care worker, a theater professional and a rising high school student—urging us to "Look past pink and blue," and be less weird in general, about who uses which bathroom. It's the first time any U.S. governmental body has used public money to support this issue. In a recent statement, Mayor de Blasio mentioned that "other cities and states are legislating intolerance and taking away individuals' right to use bathrooms consistent with their gender identity"—before remarking that his office, and the city at large, is "proudly standing with our transgender and gender non-conforming New Yorkers." The ads, which are bright and vibrant and look great, are set to appear in subway cars, bus shelters, phone booths and newspapers throughout the city.